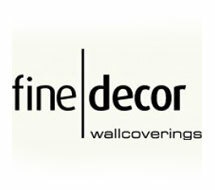 Fine Décor Wallcoverings is a manufacturer of high quality wallcoverings. Based in the heart of Cheshire, England, Fine Décor is the manufacturing arm of Brewster Wallcoverings, a fourth generation family run business out of Boston, USA. Our aim is to provide our clients with innovative products of the highest quality.